Bryan Wolfmueller has done us all a great favor. Whether you are a Lutheran casting an envious eye toward popular generic Christianity in America or you are a disappointed or disenfranchised American Christian wondering whether there’s a more substantial option, you will be enriched by this book. Bryan writes concisely, with clarity, humor, and precision. He writes candidly about his own personal journey through American pop Christianity toward Lutheranism, admitting he found the Lutheran Church sadly wanting at first. But like Martin Luther before him, Bryan has been persuaded by the clear teaching of Scripture. 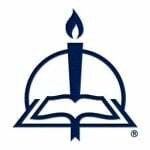 The result is a persuasive apologetic for the Lutheran confession of the Christ-centered biblical Gospel over against the me-centered gospel of American Christianity. Read it for yourself first, then pass it along to others looking for living water in the desert that American Christianity has become. Christianity in North America has largely been shaped by unbiblical assumptions about the power of human choice. In an engaging and conversational style, Wolfmueller draws on his own experiences as a college student moving from church to church and more recently as a Lutheran pastor to offer a Christ-centered critique. Wolfmueller does not offer programs or techniques for church revitalization but rather invites his readers to hear the word of the cross and find their confidence in the sure and certain promises of Christ Jesus. This book will challenge, edify, and encourage faithful disciples of Jesus Christ in the context of our self-addicted and chaotic culture. This powerful critique of American Christianity is not written by an outsider but one who has seen the theological vacuity of much of modern evangelicalism from the inside. He partook of its diet for years and has lived to tell about it. Not just content with diagnosing the disease, however, Bryan Wolfmueller presents the case for a robust remedy found in the cross-centered theology of the Lutheran Reformation. Many today are licking their wounds of spiritual anguish in the ruins of the church of pop religiosity that’s driven by moral performance and sensations of the God within. In this book, Pastor Wolfmueller diagnoses the disease of superficial American Christianity and rediscovers the ancient faith as delivered by the apostles and proclaimed throughout the Reformation. The wearied soul longs for the good news this book delivers. Catechesis (the call to repentance and faith in Christ) involves knowing not only the truth of Christian doctrine but also the mindset and attitude of our catechumens that prevents them from embracing the truth. 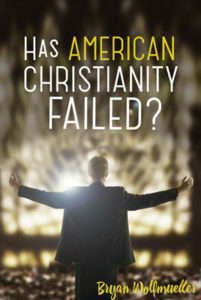 Has American Christianity Failed? carefully diagnoses the subtle ways that American Christianity has promoted the self—my will, my feelings, my opinions—as the judge and arbiter of truth at the expense of the Gospel of Jesus Christ. Wolfmueller calls us all to repentance and refocuses the task of catechesis as the proclamation of Jesus!